Lexington, Virginia is an ideal travel destination for several reasons. With its proximity to the Blue Ridge Parkway and the nearby George Washington and Thomas Jefferson forests, the area is filled with opportunities to explore the great outdoors. 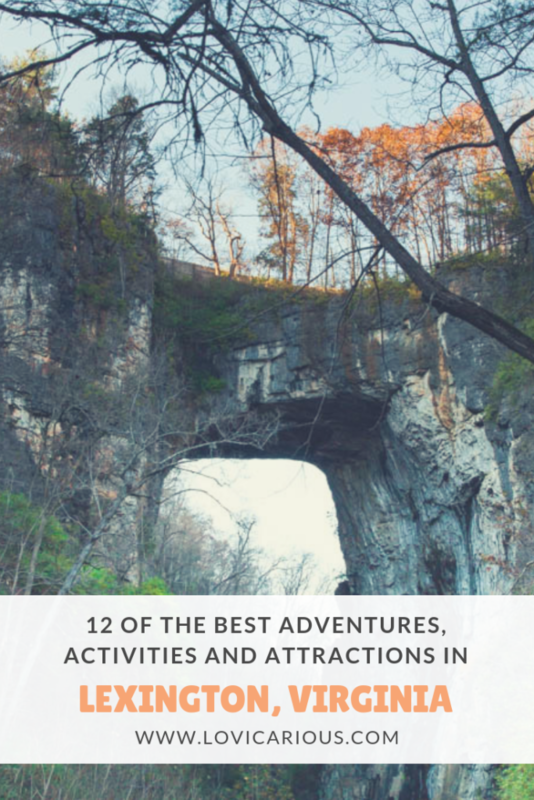 From the Blue Ridge Mountains and natural caverns to the James River, you are sure to find adventure during your visit. Although the Civil War was fought further east toward Richmond, significant confederate figures called Lexington their home and final resting place. In fact, Confederate General Robert E. Lee founded Washington and Lee University while residing in the area. This remains one of the oldest standing universities in the country. This is one example of many historical landmarks commemorating this part of history. 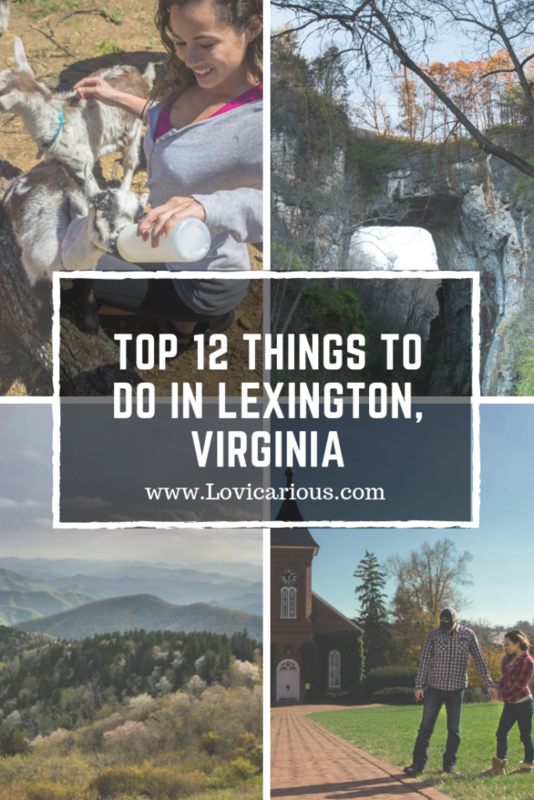 Let’s explore the best things to do in Lexington Virginia and the surrounding Rockbridge County. 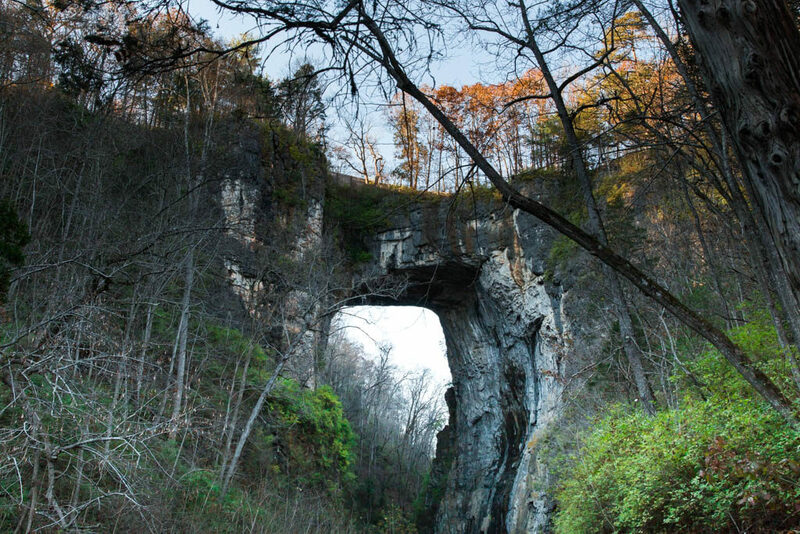 Rising 215 feet (66m) high and 90 feet wide (27m), the Natural Bridge is a wonder to see and is often included on the list of Seven Natural Wonders of the Modern World. This bridge was once the sacred site of the Native American Monacan tribes and was later rediscovered by frontiersmen in the mid-1700s. It is said that George Washington came to the site as a young surveyor years before he would become America’s first president. So impressed by the location, Washington carved his initials “G.W.” into the wall of the bridge. In addition to the natural limestone archway, the state park also includes several walking trails which take you past diverse flora and fauna, a recreation of Monacan Native American housing, and the 30 foot tall (9.1m) Lace Falls. 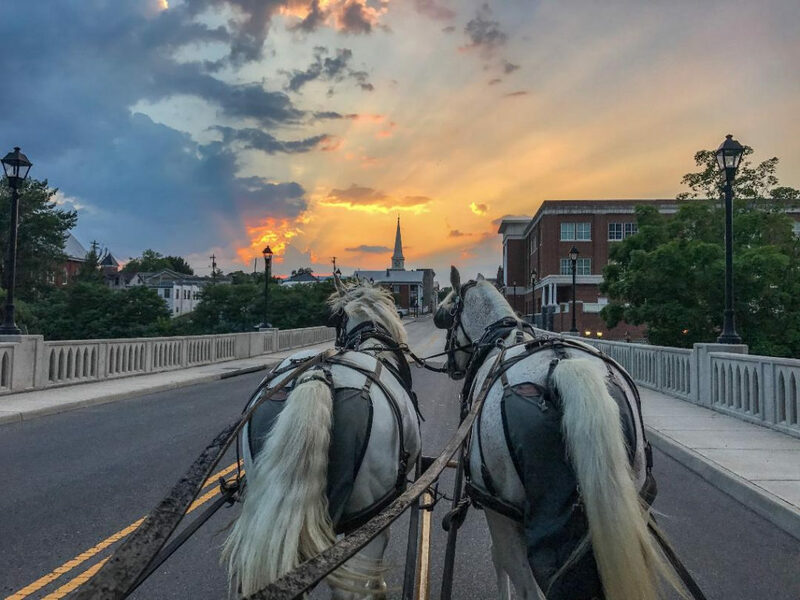 After your horse-drawn carriage tour with the Lexington Carriage company, set out on foot and explore the historic grounds of VMI (the Virginia Military Institute) and W&L (Washington and Lee). W&L was founded in 1749, and is the 9th oldest college campus in the nation, while VMI was founded in 1839 and is the first state-supported military college in the nation. Located adjacent to one another, visitors are welcome to walk through the beautifully constructed campuses, while exploring historic buildings, chapels, and museums. Little Sorrel (formerly known as “Fancy”) was not what most would consider a military horse, rather he was small and rather homely in appearance. 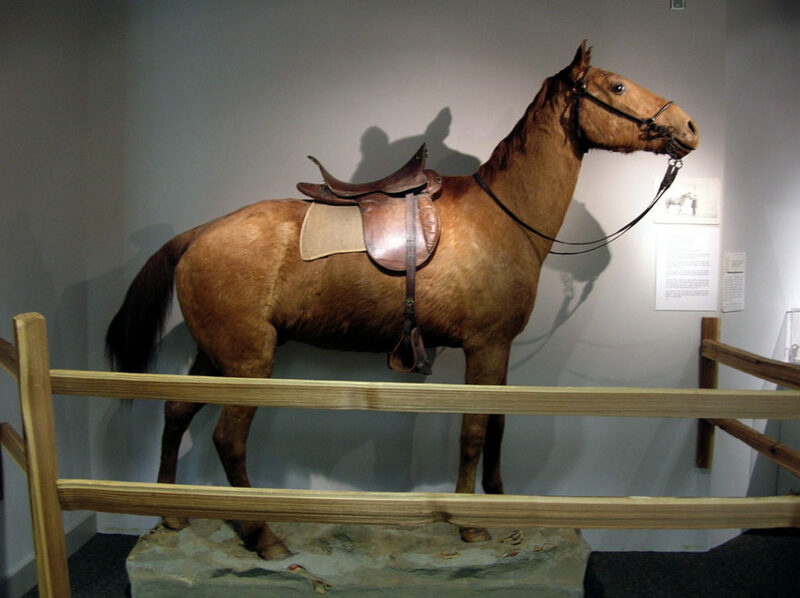 Although Stonewall Jackson originally purchased the horse as a gift for his wife, he soon fell in love with Little Sorrel’s endurance, toughness, and supposedly smooth gate. He decided to keep him for himself and Little Sorrel remained his equine sidekick up until the Confederate general was fatally shot in 1863. After his death, Little Sorrel was eventually moved to the Virginia Military Institute where he would graze until he passed away in 1886. Little Sorrel’s hide was stuffed and mounted and is now on display in the VMI Museum. Who would have thought you could go on a wild safari in the middle of Rockbridge County, Virginia? Virginia Safari Park has been voted one of the “Top 10 animal attractions in the US” by Family Fun magazine, and for good reason. This is a one-of-a-kind experience to interact with a variety of animals, including elk, buffalo, ostriches, and llamas. Drive through the 180-acre enclosure where you can observe free-roaming animals frolic about, play in mud puddles, and sunbathe. Many will come up to your window for a bite to eat from your food bucket (which is provided at the front gate for a nominal cost). In addition to the drive-through safari, the park also has a walk through “village” which includes spider monkeys, penguins, kangaroos, and opportunities to hand-feed giraffes and goats. Be sure not to miss the Budgie Aviary on your way out. This large enclosed area is home to about 200 Australian Budgie birds who are eager to flock to your arm, shoulder, or even the top of your head. Visitors can purchase a “Budgie stick” at the front gate to feed these little guys. 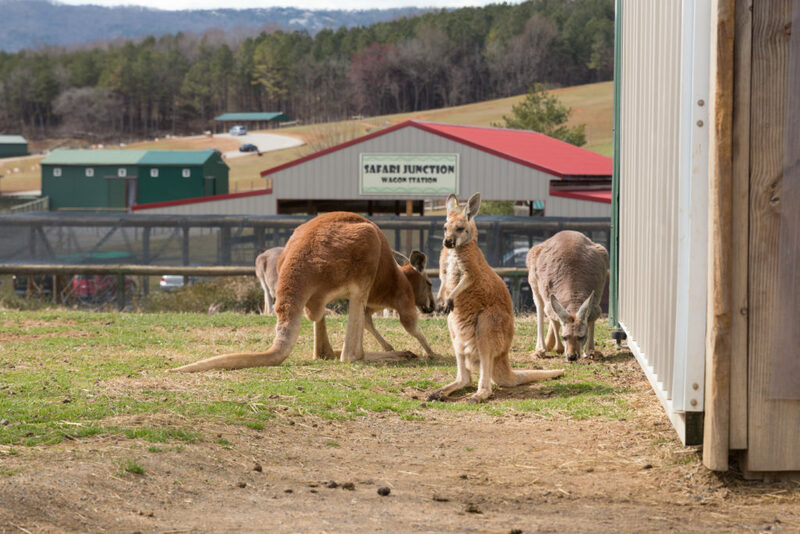 For tips on visiting the park, be sure to check out our article “Virginia Safari Park: A Wild Adventure in the Heart of Virginia“. 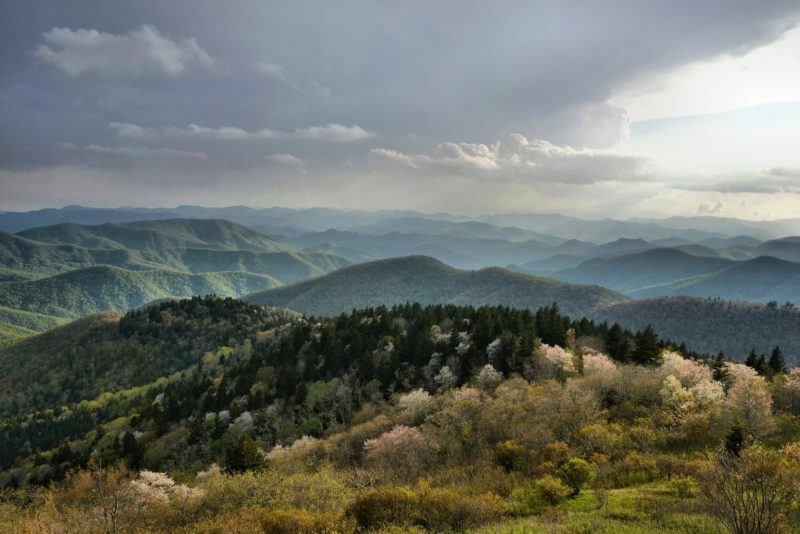 The Blue Ridge Parkway, which extends from Shenandoah National Park in Virginia to the Smokey Mountains in North Carolina, attracts thousands of visitors every year. Along the 269 mile stretch, the speed limit is set at 45 mph and large trucks are prohibited from driving on the parkway. This helps to ensure that visitors can enjoy a slow drive along the ridge while taking in the beautiful vistas of the Blue Ridge Mountains and surrounding valleys. With an entrance to the parkway both in Buena Vista (Humphrey’s Gap) and Natural Bridge (Otter Creek), there are 2 nearby options for hopping onto the parkway for an afternoon drive. If you are looking for a night time adventure, drive up to the parkway at night for an impressive view of the stars. *The parkway is subject to harsh weather conditions so be sure to check the website for closures. We discovered this gem completely on accident while exploring the area. Following Lloyd Tolley Rd. toward the James River, the road rounds about a curve opening up to a property that transports you back in time. 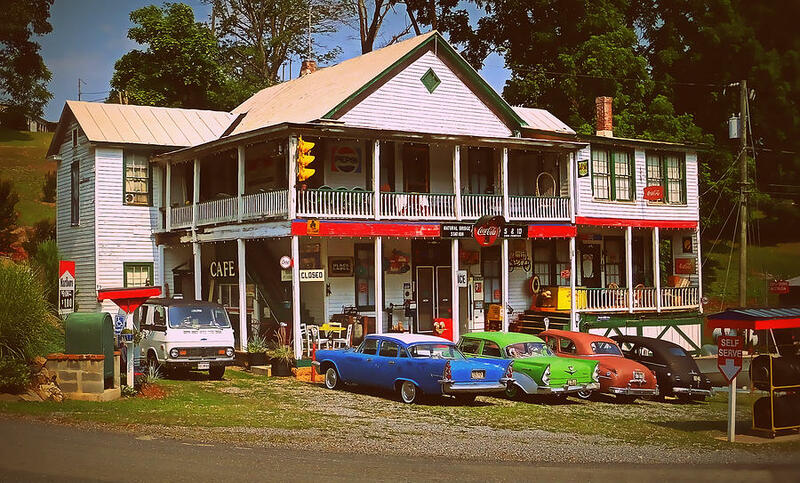 An old-school gas pump and general store is the first building you pass. Situated next door is an old hotel, ice cream parlor, and pub. The entire strip of vintage buildings is dotted with classic cars from the ’50s. The most surprising thing about this property is that it is not a commercial business at all. We had the luck of meeting the property owner who was outside working on a restored step-side pickup. He explained that he had spent decades as a collector. In his retirement, he purchased this property and assembled his collection as a hobby. He invited us into the general store which is set up as an exact replica of one that you would have seen in the 1950s. The kitchen and ice cream parlor is fully stocked with furniture, lighting, and appliances of the time. The level of detail and historical accuracy is so incredibly impressive. As mentioned, the property itself is not generally open to the public, but the road is. Therefore, you are free to drive right up to the strip of vintage shops and snap a picture or two. From the same creator as Foam Hedge, comes the wacky yet entertaining road-side attraction Dinosaur Kingdom II. 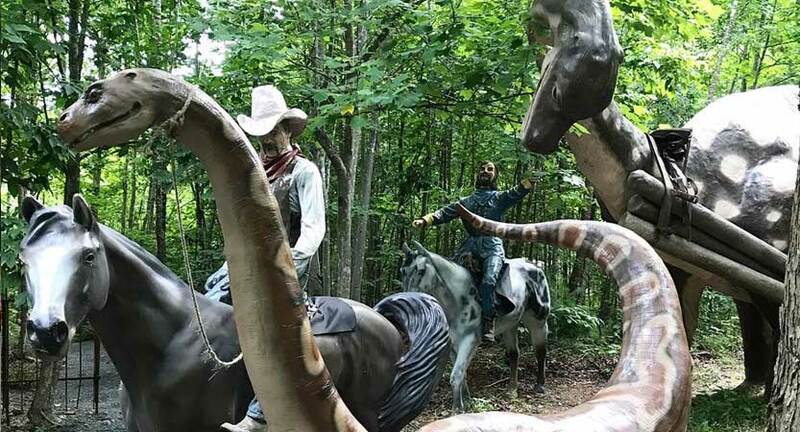 This “theme park” combines civil war history with prehistoric creatures where you might see Abe Lincoln lassoing a Pteranodon or Stonewall Jackson battling a spinosaurus. While admittedly cheesy, Dinosaur Kingdom is an entertaining adventure to remember. 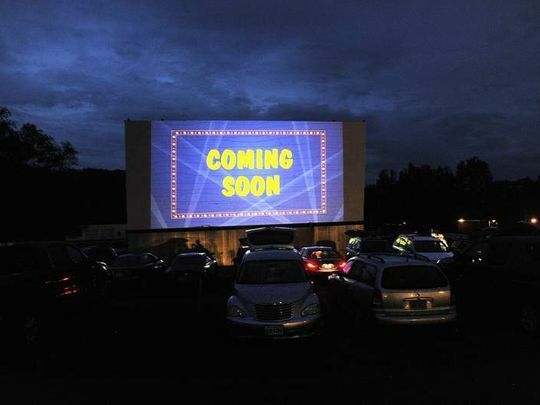 Hull’s Drive-In is a Lexington staple and an adventure not to be missed. Built in 1950, Hull’s is the first community-owned non-profit drive-in theater in America. Since it’s opening, volunteers from the local community have donated time and money to preserve and operate the landmark. Locals come here to catch one or both of the nightly featured movies while dining on greasy yet delicious concessions like hamburgers, popcorn, and mozzarella sticks. Whether you watch the movie inside a car, on a lawn chair, or on a picnic blanket is completely up to you. Whichever you choose, we would recommend coming early to pick out a good spot. The owners of Autumn Ridge in Lexington recently added a new feature to their property, goat yoga! A certified yoga instructor leads the class through a gentle vinyasa flow while 6 goats jump, climb and step all over you. I know what you are thinking. That sounds like torture. Well maybe yes if they were full-sized male goats weighing over 100 lbs., that would not be so fun. In this case, we are talking about a couple of pygmy goats who want nothing but to cuddle you, take a nap and maybe nibble on your hair a bit. Practicing yoga with goats is a unique and uplifting adventure that we highly recommend. To read more about our own experience with the pygmy goats of Autumn Ridge, check out our article “Downward Dog to Upward Goat: Goat Yoga at Autumn Ridge“. 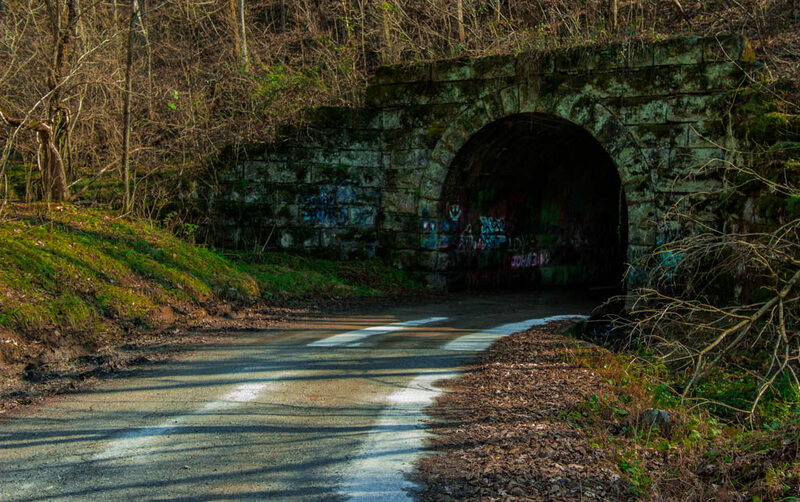 The Poor House Road Tunnel has drawn the attention of paranormal investigators and thrill-seekers due to its tragic reputation and consequent hauntings. The tunnel was built in1900sarly 1900’s as part of a railway connecting Staunton and Lexington. During the early 20th century, it became the site of several lynchings followed by a number of alleged murders. Visitors report seeing ghostly shadows on the tunnel walls and hearing disembodied voices calling out “come on, come on”. Others report the appearance of hand prints on cars, fog mysteriously appearing in photographs when there was none at the time of the picture. A large number of paranormal experts confirm that it is indeed haunted. Do you dare explore the tunnel for yourself? 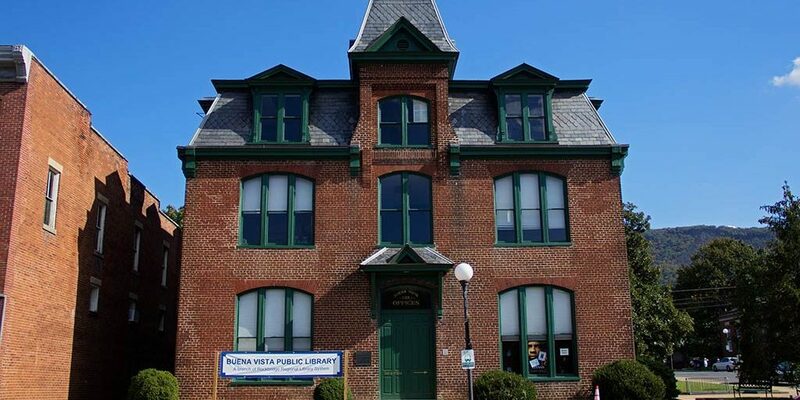 Few people know that the Buena Vista Public Library has a block of dark abandoned jail cells hidden away. The building was built in 1890 as a courthouse, complete with numerous holding cells. When the library occupied the building in 1971, they renovated the front portion but left the holding cells as they were. There is now only a large door separating the bright and renovated library from the dark and dusty block of cells. We discovered this hidden piece of history when we attended a trivia night at the very same library. The librarian told us about the history of the building and the jail cells where an officer named Matt Beard was murdered years ago. They invited us to take a look behind the locked door so we agreed. With no working lights in that portion of the building, we explored the cells with only the light of our phones. I am not going to lie, I was creeped out and was more than happy to return to the lit side of the building. This is not generally open to the public, but if you ask nicely they might let you take a peek. We specifically did not include the Natural Bridge Zoo on this list. There has been extensive coverage of this zoo revealing their maltreatment of animals, lack of care for those who fall sick, and unsafe living conditions for zoo animals. Despite the negative coverage, many are still attracted to the zoo for the chance to ride an elephant. Please do not give this attraction your support. Rather, choose to visit attractions which treat animals with respect and the care they deserve. Wow I had no idea there was so much to do in Lexington! I love the safari. We visited something similar in Texas ant it was so much fun! 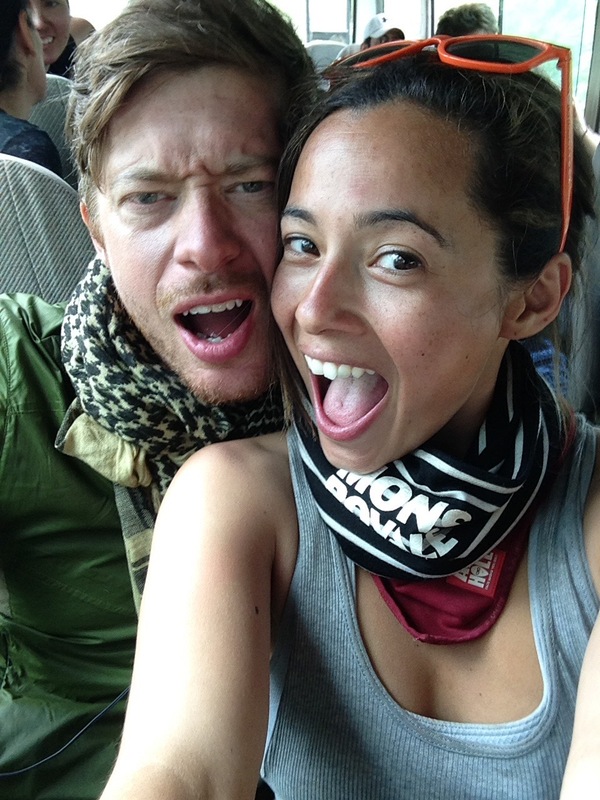 We had such a blast on the drive-through safari. When going through animal attractions it is always good to support sustainable organizations while looking out for and avoiding those which mistreat their animals. Luckily those we found in Lexington (minus the one we mentioned at the end) all have responsible practices. What an interesting place to visit. It would take me at least a week to visit all that you have mentioned. Would love to do goat yoga. As an Australian, it was great to see the kangaroos at the Wildlife Park. Next time I visit the USA I am definitely visiting Lexington. That is so interesting that you mentioned that. When people hear Lexington, many initially think that there isn’t much to do. On the contrary, there are always adventures right outside your doorstep as long as your have your eyes open for new opportunities. I am glad that this article was a good example of that 🙂 Thanks for stopping by to read! My family lives in Richmond, Virginia. We’re always looking for fun little trips to take around the state. I’ll definitely be keeping this list in mind! It seems that Lexington, Virginia has a perfect setting with lots of opportunities to explore the outdoors. I’m not sure I’d “dare” investigate the Poor House Road Tunnel, but I would definitely love to step back in time at Natural Bridge Station and visit the Virginia Safari Park. Those kangaroos are awesome! Haha I only agreed to investigate the Poor House Road Tunnel during the day. Otherwise, I am such a wimp! Lexington is a new place to me. There are so many gems in the States. This is surely one of them. There are so much to do. I loved how you listed and summarized all the activities. I just wish horse-drawn carriage should be banned now. It’s too much for the horses. Rest all look so good. You know, I posted this and was thinking the same thing. Sometimes it is difficult to know when animals are being cared for and when they are being maltreated. Even if they aren’t being “maltreated” I am sure they would much rather be grazing on a pasture than carting humans around. I am glad you brought up that point. Whoa! That’s quite a list. Did not know there was so much to do in Lexington. I would love to do that horse carriage tour of the city. What fun sitting in that carriage and learning all about Lexington’s history. We did a horse carriage tour in Savannah, GA and loved it. PYGMY GOAT YOGA?? OMG I’m in love! I’ve always wanted to visit Lexington, but haven’t made it back to Virginia recently. I’m drawn to such historical sites as VMI and W&L. With such a young country, it’s a treat to find places so old and still around. I’m not sure I’d be down to checking out the tunnel or holding cells. I’m such a wuss when it comes to scary things! I totally agree! After visiting Europe where there history predates ours by centuries, it is fascinating to learn about our own history. Wow! That’s quite a bit of things to do. Its been ages since I last sat on an horse drawn carriage! It brings back nostalgic memories. The natural bridge is just wow! The safari park is a must do thing, esp with kids. The safari park was a blast! We actually ended up going twice, once just Scott and I, and again with his mom. I am sure we will return when we have kids of our own. It is always fun to be able to interact with animals so closely….as long as it is in a sustainable and responsible way of course. The fact that you took a horse-drawn tour around Lexington has made my day! I think that’s such a unique way to experience a city. I also appreciate that you didn’t cover the Natural Bridge Zoo in this article due to its maltreatment/abuse towards animals. I think it’s important to be transparent about ethical tourism even if it’s controversial. I agree. It is interesting how things have changed over the years. I remember growing up watching lions, tigers and bears, at the Ringling Bros Circus and thinking nothing of it (then again I was also a child.) We went to a circus again just this past year, and while they no longer have lions, tigers, and bears, they do have women riding around on top of elephants. After seeing the elephants graze peacefully in the national parks of Tanzania, I couldn’t help but feel a little something when I saw them being tamed at the circus. It is interesting to see the change, but like in all things, change is good.